Indra Kumar said: "It would have been really fun if Sanjay would have been part of this film"
Indra Kumar, director of upcoming comedy Total Dhamaal said that Sanjay Dutt is "unhappy" for not being able to be part of the third installment of the Dhamaal series. Speaking at the trailer launch event of the film, Indra Kumar said that Sanjay Dutt did not have dates when he was approached with the film, reports news agency IANS. "It would have been really fun if Sanjay would have been part of this film, but unfortunately when we were shooting for the film, he did not have dates. Since it is a multi-starrer film, bringing so many big actors together is not easy at all. We both, Sanjay and I are unhappy about it, but we regret it," IANS quoted the filmmaker as saying. Sanjay Dutt had a pivotal role in Double Dhamaal, the second installment of the Dhamaal series. 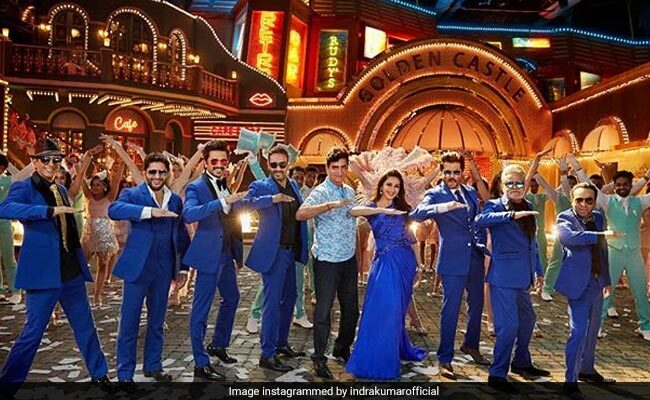 Total Dhamaal stars Madhuri Dixit, Ajay Devgn, Anil Kapoor, Arshad Warsi, Boman Irani, Riteish Deshmukh, Sanjay Mishra, Esha Gupta and Jaaved Jaaferi. From the trailer it appears that Total Dhamaal is all about a hidden treasure and everyone's desire to discover the it. While Riteish Deshmukh, Arshad Warsi and Jaaved Jaaferi are reprising their roles, Madhuri Dixit, Ajay Devgn and Anil Kapoor are the latest inclusion to the installment. Madhuri Dixit, who made her last Bollywood appearance in 2014's Gulab Gang, told at the trailer launch event the reason why she couldn't refuse the film when it was offered to her. "This film is directed by Indra Kumarji, and I have not worked with him for a long time. I am paired opposite Anil Kapoorji and there is a brilliant star cast, including Ajay Devgn, Jaaved Jaaferi, Arshad Warsi, and the story was so wonderful when I heard the script. It is really funny. It gave me something different to do after a long time, so I just couldn't say 'no' to the film," Madhuri Dixit was quoted as saying. Total Dhamaal will release on February 22.